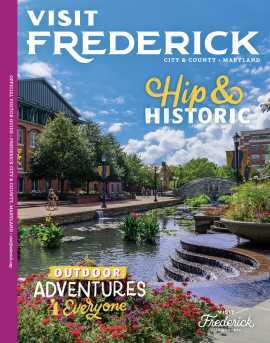 Frederick and family fun go hand-in-hand, especially during the warm weather months! There’s so much for adults and children to see and do, it may seem a bit overwhelming to choose, but here are some ideas for family fun in Frederick County! There is an abundance of great, family-friendly trails in the area, whether you like hiking to Maryland’s scenic wonders like the state’s largest cascading waterfall or mixing your outdoor time with a little history. At Cunningham Falls State Park and neighboring Catoctin Mountain Park, you can venture on a variety of different trails. The shortest trails leading to Cunningham Falls are the 0.5 mile Lower Trail and the 0.75 mile Cliff Trail. 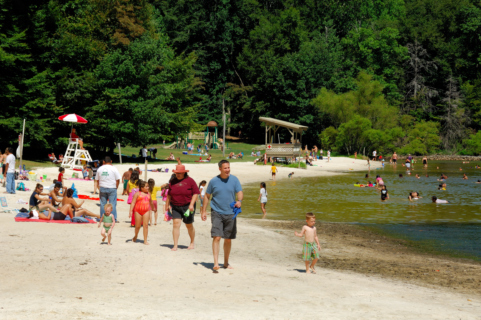 Families can enjoy camping at the park as well as swimming and paddling in the 43-acre lake, complete with sandy beaches! Families should be sure to check out the Scales and Tales Aviary at the Manor Area. Live wildlife are housed there, including non-releasable birds of prey and reptiles, featured in special programs to promote stewardship of wildlife and other natural resources. Just across Route 77, Catoctin Mountain Park also offers a system of trails, fishing and camping opportunities. Ranger programs are offered throughout the summer and kids up to age 11 can work on activities to earn their Junior Ranger Badge. 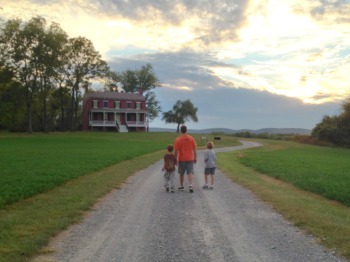 Monocacy National Battlefield has several trails, including the 1.6 mile Ford Loop Trail and the 1.9 mile Brooks Hill Loop, both on the Worthington Farm, where 6-year-old Glenn Worthington witnessed the battle from his boarded-up cellar window. Worthington wrote a full length account of the battle years later. In addition to enjoying the trails at Monocacy, children ages 5-14 can learn about the history of the battle while earning a Junior Ranger badge. The Frederick Keys, the Single A Affiliate of the Baltimore Orioles, offer a fun, family-friendly environment right in the city of Frederick&apos;s backyard. While enjoying America’s favorite pastime, families can benefit from giveaways and fireworks at NYMEO Field at Harry Grove Stadium. 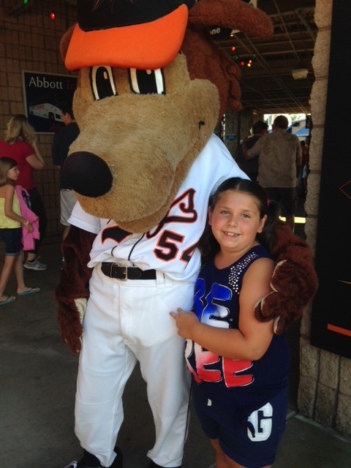 The Keys Fun Zone hits one out of the ballpark with the kids, as does fun-loving mascot Keyote. For the Keys’ regulars, there’s a Jr. Keys Kids Club available to kids 12 and under. The Keys also offer baseball camps throughout the summer with three days of instruction from Keys coaches and players. 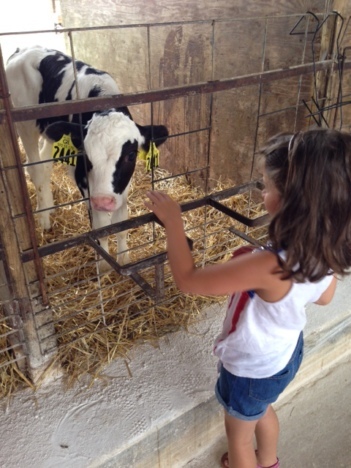 Frederick County has a rich agricultural heritage and more farms than any other county in Maryland so it should come as no surprise that there are lots of fun things for families to do on the farm. Fox Haven Organic Farm and Learning Center in Jefferson is a farm, wildlife sanctuary, ecological retreat and learning center that teaches innovative, sustainable farming practices for all ages. Some of its programs include story time in the Big Red Barn, Field Day, summer garden fun activities for kids, and garden to table events for teens and adults. There are even opportunities to spend the night on the farm! Ice cream adventures are popular choices for family fun at South Mountain Creamery and Rocky Point Creamery. The ice cream is made on-site at both of these dairy farms. You just can’t get any fresher than that! At South Mountain Creamery you can even bottle-feed the calves every day at 4 pm. Rose Hill Manor Park & Children’s Museum is a great way to step back in time and learn about the history of Frederick County in a child-friendly, hands-on environment. The property features a manor house, icehouse, log cabin, blacksmith shop, carriage collection, and two barns. Find out about Maryland’s first Governor, Thomas Johnson, and the history of agriculture and transportation. The museum focuses on providing children with opportunities to experience life in Colonial America from learning to carding wool, to grating spices and playing with toys from the past. The museum tour gives children the opportunity to learn through experimentation and role play. An excursion on the Walkersville Southern Railroad can literally transport your family back in time! The railroad dates back to 1869, just after the Civil War. Today it offers scenic train rides in the historic Monocacy Valley. The regular stream train rides offer lots of family fun and adventure, but themed rides are hard to top! With themes like Jesse James Day, Civil War Reenactors, and Teddy Bear Picnic, you can choose your own adventure! If model trains are more your speed, try a visit to the Brunswick Heritage Museum. The third floor of the museum houses a 1700 square foot HO Scale model railroad that depicts the B&O Metropolitan Subdivision beginning at the east end of Brunswick’s rail yard and running eastward through Montgomery County communities all the way to Union Station in Washington, DC. The model railroad comes alive with many interactive elements for the young and young-at-heart. Other floors of the museum are dedicated to telling the story of Brunswick, a town built by the B&O Railroad at the turn of the 20th century, and the people who lived there. The first floor is a shared space with the National Park Service’s Chesapeake & Ohio Canal National Historical Park and houses the Brunswick Visitor Center. 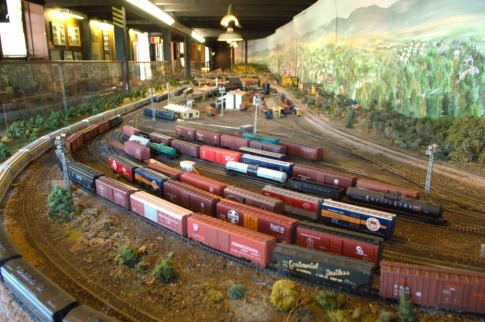 Model train enthusiasts also love the Roads and Rails Museum in Downtown Frederick! The museum houses one of the largest miniature model train displays in the country and is designed to be a fun display of three dimensional art combined with sound and movement. It is a miniature world complete with a zoo, circus, working volcano, walk-through mountains, subway, coal mine, castle and towns with moving trains, trolleys, cars and trucks. Roads and Rails Museum is a great experience for all ages.